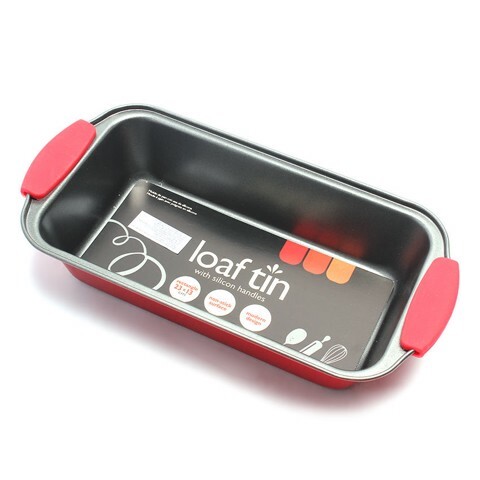 Loaf Pan W/Silicon Handle. Internal 23 x 13 x 6cm . Inside: Grey | Outside: Red . 0.4mm Carbon Steel | Non-Stick Goldflon . 240G Packaging: Colour Label.